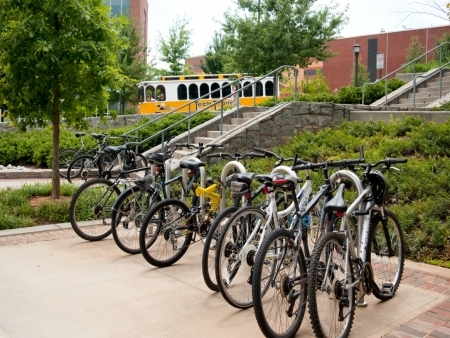 Georgia Tech is deeply committed to offering a wide variety of transportation choices for students, faculty, and staff to help conserve natural and financial resources. We facilitate the use of alternative transportation by providing carpool permits, ride matching, electric vehicle charging, bike rentals, and discounted transit passes in partnership with metro transit agencies. According to the 2016 Georgia Tech Commute Survey, 43% of commuters to campus use modes other than driving alone. 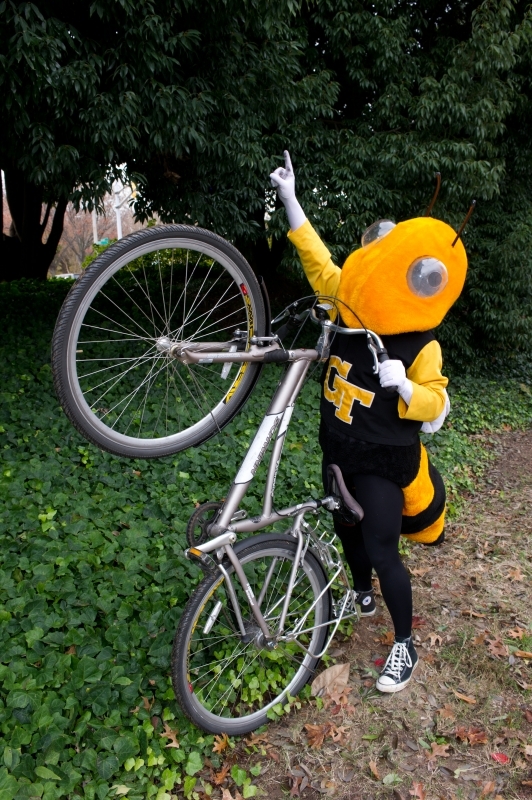 In 2013, Georgia Tech won the regional Clean Air Campaign’s PACE award for clean commute options program. We are the first university to earn the US Dept. of Energy’s Workplace (EV) Charging Challenge Partner status. With a mission to provide innovative parking & transportation solutions that serve and support the Institute, our Georgia Tech Parking & Transportation Services offers a variety of environmentally friendly commuter options to the community. Georgia Tech offers a variety of transit options to get students, faculty, staff, and visitors around campus. These options include the Tech Trolley, the Midnight Rambler, and Stinger Buses. This program offers an inexpensive, fun, healthy, and eco-friendly transportation option for Georgia Tech students. Students can rent bikes each semester to traverse the campus and surrounding areas while reducing traffic congestion on area streets. Relay Bike Share provides short-term bike rentals at stations around the city. Georgia Tech students and employees can sign up for low rate monthly plants. Relay Bike Share Stations can be found here. Formed in 2010, BIIC's mission is to improve the quality of bicycle infrastructure for the Georgia Tech community so that it is safer and easier to bike for pleasure, for health, and to work or school. Starter Bikes is a collaborative project between Georgia Tech’s Students Organizing for Sustainability and the Atlanta Bicycle Coalition. Volunteers refurbish abandoned and donated bikes into low-cost, entry level bicycles for students and community members in need of inexpensive but reliable transportation. Available to the Georgia Tech community and affiliates, we offer convenient charging stations in the Midtown area. A map of locations is provided here. For those commuting to Georgia Tech it’s possible to buddy up with other students in your household or neighborhood to save money and the environment. Instructions on how to apply for a carpool permit can be found here. GOTCHA ride provides free rides to students on campus in electric open-air vehicles. Hours of operation and more details can be found here. Atlanta is home to many public transition options including MARTA, Georgia Regional Transit Authority, and CobbLinc. Georgia Tech encourages students, faculty, and staff to use public transit by offering discounted passes available through payroll deduction (information here) or at the BuzzCard Office on campus (information here). Georgia Commuter Options provide free services to students, faculty, and staff to improve how we get to and from work. Georgia Commuter Options will help you find a car pool partner, provide incentives to switch to a more sustainable form of transit, and serve as a commuter resource. The Atlanta Bicycle Coalition is a local nonprofit working to promote better conditions for bicycling, educate bicyclists and drivers on safety, provide resources to overcome barriers to biking, promote the bicycle as a viable transportation solution and form of recreation and exercise, and to organize community-building events like Atlanta Streets Alive. Zipcar is a service that allows Georgia Tech faculty, staff, and students to rent cars for a brief period of time. Georgia Tech has several Zipcar vehicles located on its main campus, with many more available in the surrounding neighborhoods. Georgia Tech's collaboration with Zipcar provides students, faculty, and staff with discounts (information here). 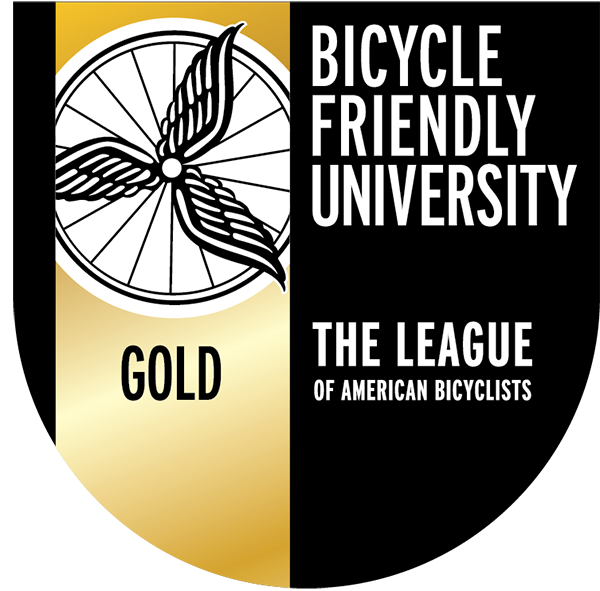 The Georgia Institute of Technology was designated a Bicycle Friendly University, at a gold level, by the League of American Bicyclists. The Georgia Tech Bicycle Campus Master Plan is developed with a focus on creating a safe, healthy and positive campus biking environment.